Get a Free DECKSHIELD MUG with your Estimate! | Deckshield International Inc.
Get a Free DECKSHIELD MUG with your Estimate! 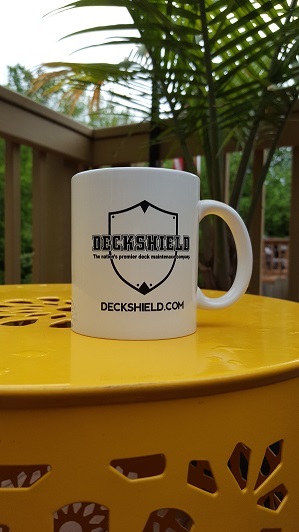 In 2016, we gave out Free Deckshield Coffee Mugs with every estimate. That program was so well received that we have ordered a whole new set of mugs for 2017! That's right, you don't need to purchase our service to get the mug... just our way of saying "Thank You" for giving us the opportunity to work for you! You will find the estimate inside of the Mug on your doorstep... like a little present! Maybe you will be able to enjoy a hot cup of coffee on your new looking deck when we are done!